It's the little details that really bring a home together. My house didn't really feel much like a home until a couple of months ago. 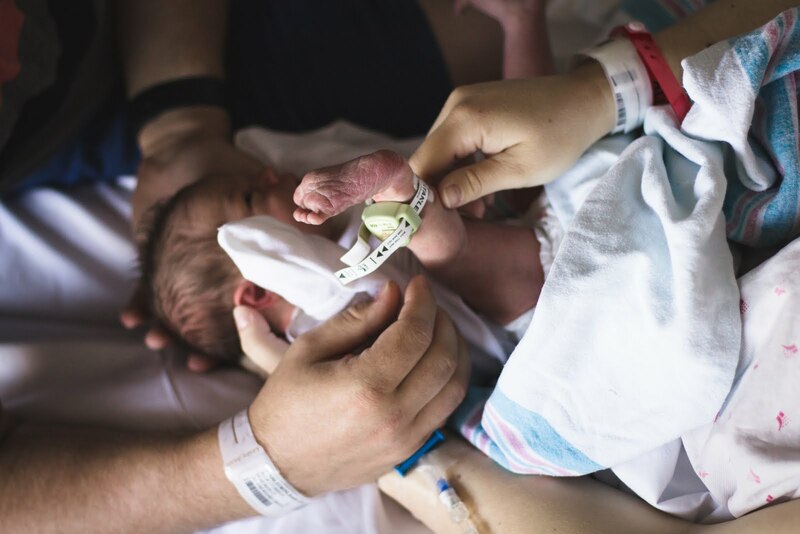 Don't ask me why it took me two years to hang photos of our family on any of the walls in our house, but ever since I have, it's made a huge difference. Seeing my cute family's faces as I walk up and down the stairs or look above the front door really brightens up my day. 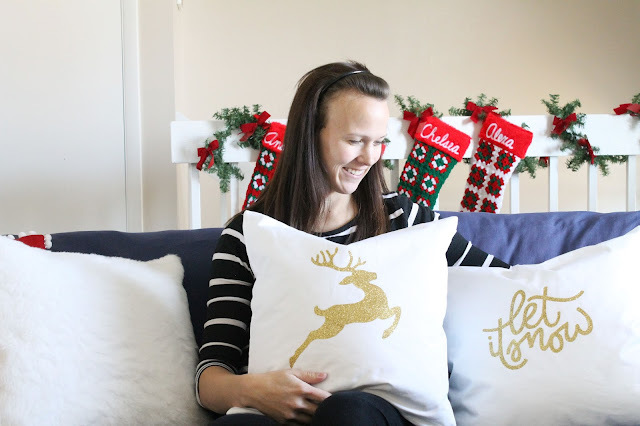 These pillows are one of those details that brighten my day, especially with Christmas right around the corner! They add just the right amount of *pop* and holiday spirit to my family room! Of course, you can go out and buy some really cute pillows, but if you're trying to decorate on a dime, I'll let you in on a little secret... buy pillows used and make your own pillowcases. Buying pillows and picture frames used are two of the best tips I have for designing on a dime. Gotta say thanks to Rad and Happy for their "let it snow" print! For the Reindeer and the "Let it snow" pillows, I purchased gold transfer paper from my local craft store (thank you Hobby Lobby! ), printed off the reindeer shape and the "let it snow" print, taped the prints to the transfer paper, cut them out using an X-acto knife and followed the directions on the back of the transfer paper to iron the designs on the pillowcases. Easy peasy! I bought a sweater from Goodwill for the knit pillow, I purchased some faux fur from Hancock for the white faux fur pillow, and I bought some red twill fabric (it's a little pricey-er, but I'm picky with my pillows) plus some white pom pom fringe and used a zipper foot when sewing the pom pom fringe to the fabric. 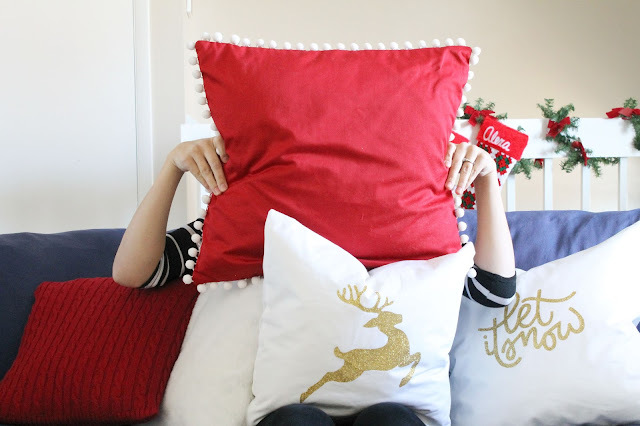 Comment below if you're interested in a full tutorial for any of the pillows I made!